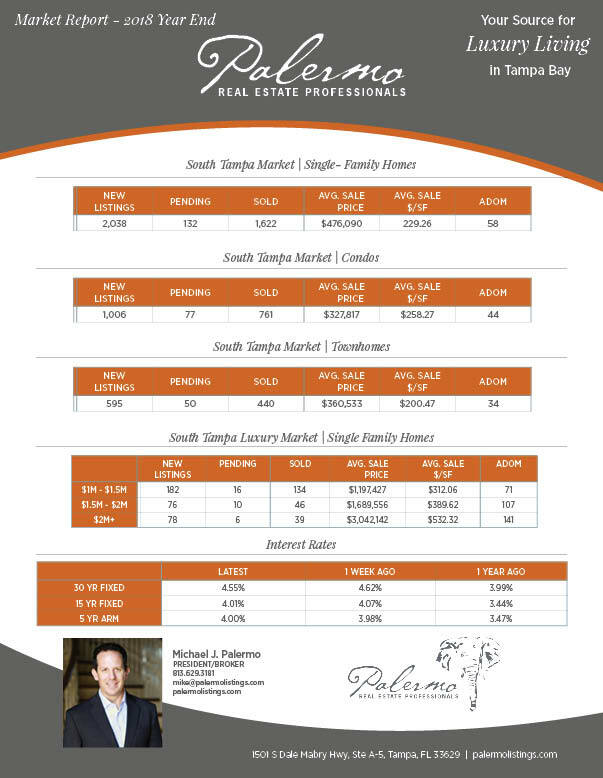 Welcome to 2019 and this year's first South Tampa Market Snapshot! This week I'm presenting the overall sales figures for 2018. The South Tampa housing market will be interesting to watch in 2019. I'll be researching and reporting back to you weekly about how interest rates, price trends, inventory levels, and general economic conditions affect our local real estate market. Will we see a softening of the market due to rising interest rates and constrained inventory as so many economists, experts and pundits have predicted? We'll have to wait and see. Enjoy the rest of this short work week!